Rajkot is the city in Gujarat and the well-know learning centre. Colleges which are found in Rajkot are Amirtlal virpal parekh technical institute, Atmiya institute of technology & science, Institute of law and forensic science, K.A pandhi English Medium Law College, Pandit Deendayal Upadhyay Medical College, Popatlal Dhanjibhai Malaviya College of Commerce, R.K College of Business Management, Smt. M.T. Dhamsania College of Commerce. The Courses provided by colleges in Rajkot are graduate, Post graduate, diploma, certificate courses, Ph.D, and M. Phil in the fields like Humanities, Science, Commerce, fine arts, performing arts, Journalism and Mass communication, Medicine, Bio-chemistry, Economics, Micro-biology, Social work, Physical education, Languages, Law, Computer and others. The courses offered by technical universities are B.E, B.Tech, M.E, M.Tech, and MBA. 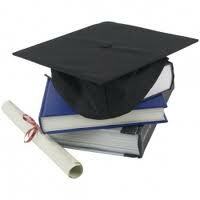 "Following is the list of Colleges in Rajkot. All Colleges in Rajkot are divided into Location wise. We have even listed college in Rajkot as per alphabetical order which is easy to find the desired college and information on it. If you come across any college in Rajkot which is not found from our list below, please do let us know by using add in list which is default in our website”.